Posts in the Tablet Market Category at Argus Insights, Inc.
Smart Home has significant growth opportunities in 2016. 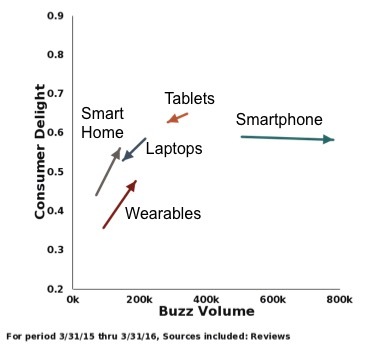 While consumers are losing interest in Tablets and Laptops, which saw big drops in both buzz and delight from March 2015- March 2016, Smart Home and Wearables are maturing both in user experience and demand. Though Smartphone buzz increased, the market saw growth slow significantly in recent months, with users expressing less satisfaction. Discover what is top of mind for consumers in these growing markets on a regular basis by signing up to receive our free newsletters. 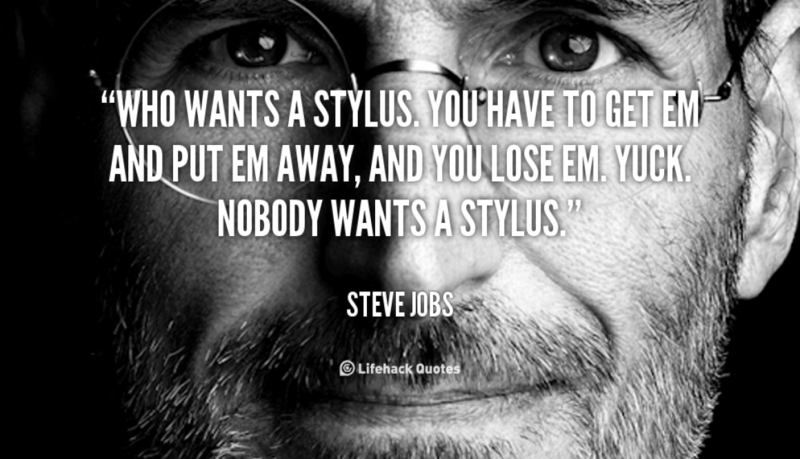 Steve Jobs’ Opinion Written Off By Apple Pencil – Actually, Consumers Like It! 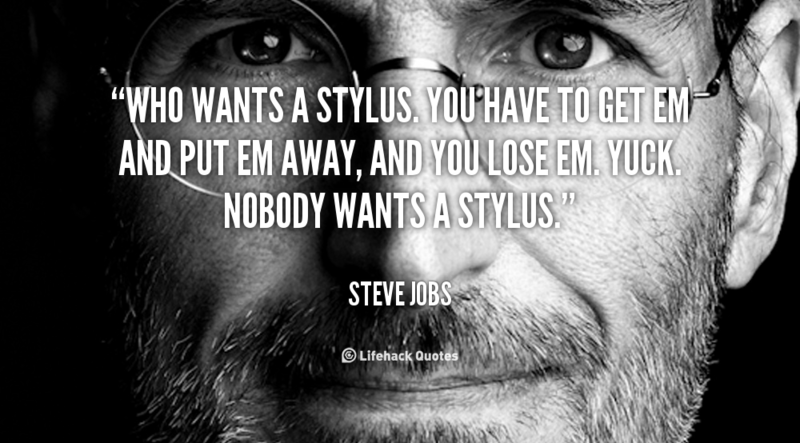 A lot has changed since Steve Jobs publicly denounced the need for a stylus in his introduction of the iPhone in 2007. Namely, Apple released a stylus. While our fingers remain attached to us, and are therefore far less likely than a stylus to be lost or broken, Apple announced a stylus as an accessory for their business focused iPad Pro in their September 2015 keynote. The inclusion of a stylus with an Apple product clearly deviated from the company’s early messaging, but a stylus provides increased accuracy, needed for the advanced functions of the iPad Pro. Free consumers insights delivered directly to your inbox on a weekly basis: sign up for our free newsletters. Tablets are a wonderful device for getting work done while you are on the go, but the market has gotten so cluttered it is difficult to identify the best devices. Major manufacturers Apple, Microsoft, and Samsung all offer several different tablets with a variety of sizes and functions. 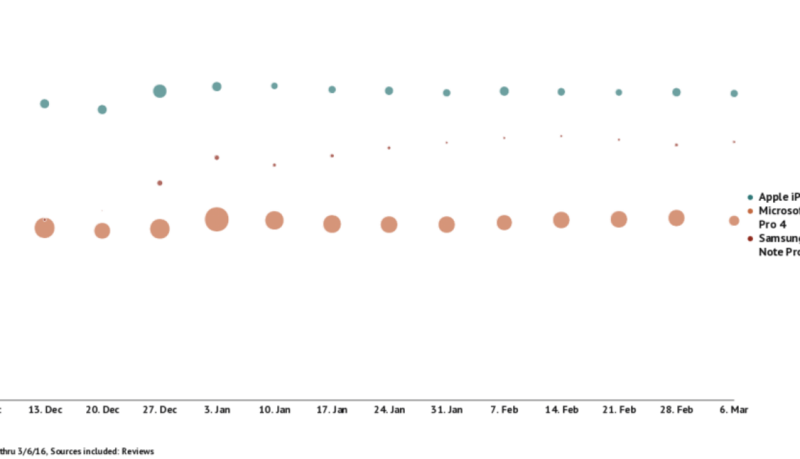 Among the high end models from these tech giants, Apple’s iPad Pro is the most well liked, while Microsoft’s Surface Pro 4 receives the most consumer feedback but is the least liked of the bunch (the size of the bubbles in the chart below represents consumer review volume by week). For weekly insights into the Smartphone, Smart Home, Wearables, and SDN & NFV markets, subscribe to our free weekly newsletters. To Watch or to Work? Apple’s large tablets aim to let you do both! Gone are the days of fighting over the television remote. Now, you use your giant smartphone to keep up on emails while watching House of Cards on your tablet as your kids enjoy their own cartoons on Netflix or entertain themselves playing Temple Run on their own devices. 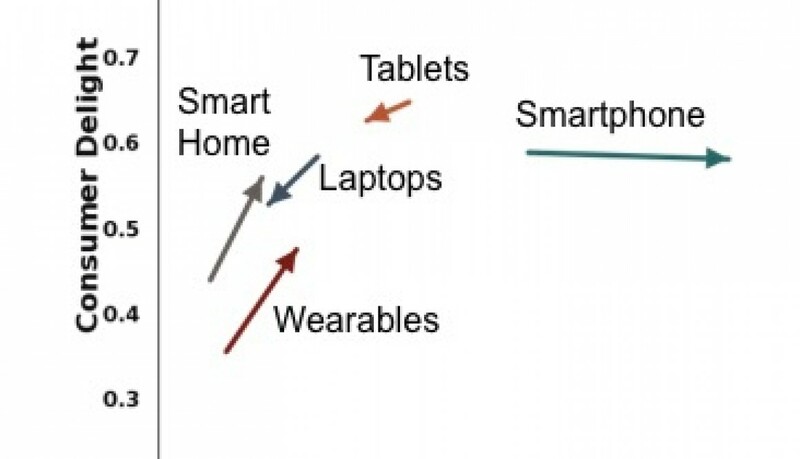 The use of personal electronics for content consumption has taken off, and users are migrating away from large, communal televisions and small smartphones toward the happy middle ground of phablets and tablets to entertain themselves. Apple smartphones are competing with Apple tablets, while those same tablets have the potential to compete with Apple laptops, but consumers are far more interested in Apple tablets than those made by Samsung. Big or small, Apple’s devices see more consumer reviews. Although they are outshining the competition, Apple must compete with themselves as growing screen sizes shift usage expectations. With the introduction of their larger, more cooperate focused tablets, Apple is beginning a targeted, niche enterprise in which iPad users can easily crunch numbers on a spreadsheet and compose documents, or watch Netflix and play games. Argus Insights will continue to track consumer engagement in the tablet and smartphone markets. Check back to hear more about the progression of user experience as it pertains to screen size and to follow the launch of new products. We monitor various consumer electronics markets as well as B2B infrastructure conversation. Please contact us with any questions or business inquiries. Interested in who & what won mindshare during Mobile World Congress? Request a free copy of our Post MWC Report. 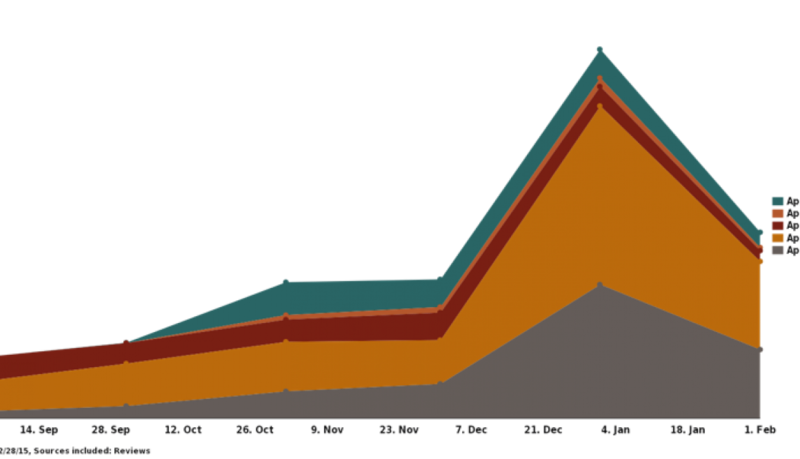 Argus Insights has been monitoring social conversations at this year’s Mobile World Congress in Barcelona. Before MWC, we hosted a webinar highlighting the brands and products that drove the most mindshare heading into the showcase, for which the slides and presentation are now available to download. Simply fill out the form and we’ll send that your way immediately. If you want to stay up to date with trending social content, sign up for our weekly newsletters in the Smartphone, Wearable, Home Automation, and SDN/NFV markets. Leverage Argus data to gain an upper hand in the marketplace.